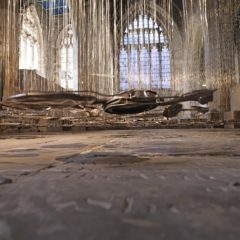 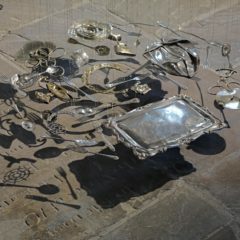 Thirty Pieces of Silver by Cornelia Parker was installed at York St Mary’s for Summer 2011. 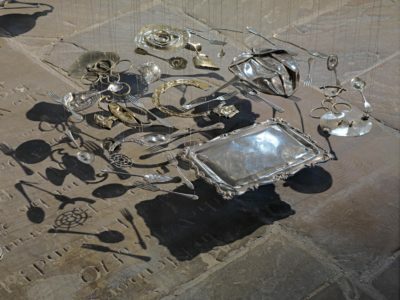 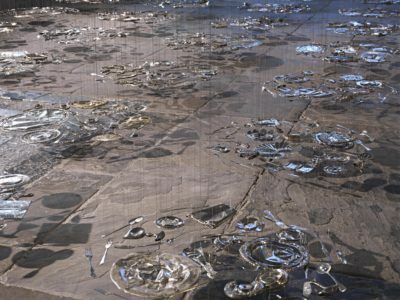 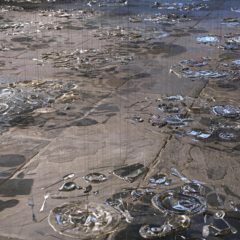 Loaned by Tate as part of Art in Yorkshire – supported by Tate, it comprises over a thousand silver objects including plates, spoons, candlesticks, trophies, cigarette cases, teapots and trombones, which Parker collected and then flattened with a steamroller. 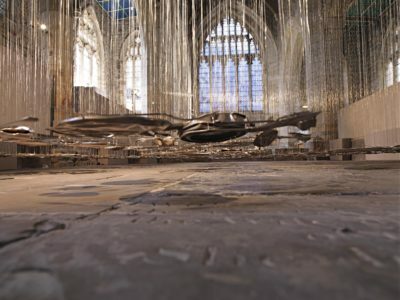 The squashed objects were arranged into thirty disc-shaped groups and suspended from the ceiling by fine wires, about a foot off the ground so that they seemed to hover. 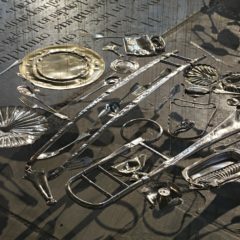 In the religious setting of York St Mary’s clear links to religion could be seen in the title of the work – thirty pieces of silver being the payment that Judas received for betraying Jesus. 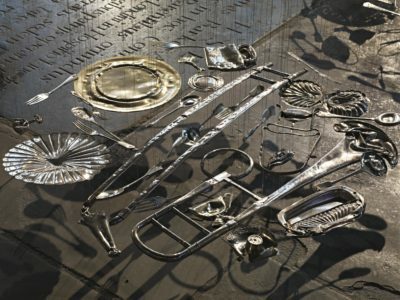 Further references to the story of the Last Supper could be found in the objects themselves such as cutlery and dinner plates. 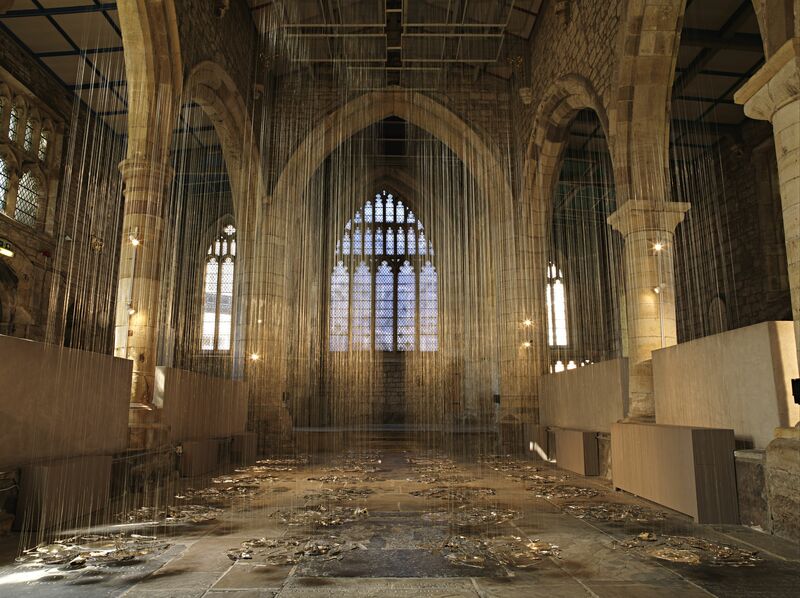 The discs hovered like spirits over gravestones laid on the ground of the nave of the church, bringing to mind the past lives of the silver objects and also the past lives of those people who prayed in the church and who were buried there.